- Stell-welded frame, high rigidity and less deformation. - Six-side long rectangle guides of the slide with high moving precision and high accuracy, extending the service life of the die. - Pneumatic dry combination friction clutch-brake, low noise, long service life, to ensure reliable safety and flexible action. - Hydraulic overload protection device achieving high sensitivity in effectively protecting against overload, to ensure convenient and reliable operation. - Automation grease lubrication system, to ensure smooth operation of the machine. - PLC electrical control system allows various auto-equipment reprogrammed according to different requirememts and perform various functions, to ensure high reliability and high adapability. - Emergent stop, inching, single and continuous movement. 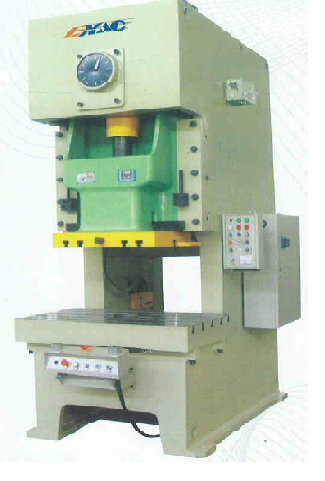 - Photo electric protector, transmission output axie, feeder, air cushion and other optional accessories are available for the power press subject to the users' demands.